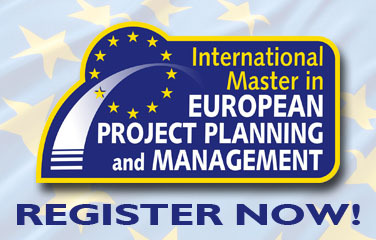 The International Master in European Project Planning and Management is supported by a network of European partners. The European partners of the Master are: universities, education and training organisations, public authorities, cultural organisations, research and innovation centres, consultancy agencies, NGOs etc. The partners of the Master are interested in hosting some of the participants during the internship. This is the list of the European partners of the master. Evolaris is a center of excellence for research and development in mobile communications and innovation. The focus is on technologies for the Internet and mobile phones that support enterprises in gaining new customers and in serving the existing ones better. Evolaris is member of the European Technology Platform NetWorks focusing on mobile and wireless communication for achieving excellent results through international. Evolaris is and was involved as coordinator and or work-package leader in EU-funded projects (FP6, eContentPlus, LLP, CIP). Examples of these projects are: mGBL – mobile Game-Based Learning; KeyToNature: a new e-way to discover biodiversity To coordinate its European projects Evolaris relies on its interdisciplinary team of experienced European project managers. INFOREF, Initiatives pour une formation efficace (Initiatives for efficient training), is an association of teachers and technical educational experts offering services to primary and secondary education and also to adult education. INFOREF has a full-time staff of nine people. INFOREF is also supported by several teachers, consultants and technical experts. The association disseminates relevant information about educational innovative experiences and materials through the website. INFOREF also offers a support for the use of innovative teaching technologies and methodologies and for the introduction of innovative e-Learning based educational systems. The staff is specialized in the field of ICT and in the management of European projects (LLP Comenius, ICT, Leonardo da Vinci, Gruntdvig, etc.). The purpose of the European projects in which INFOREF is involved is fostering the awareness of the European citizenship and identity among the students and the teachers in primary, secondary and higher education. INFOREF is and was involved in several EU-funded projects. Examples of these projects are: School Safety Net ; e-book; Chemistry Is All Around Network; [email protected]; I'm not scared; [email protected]; On-Air. EFB, Europe for Business focuses on Innovation Management, providing support services to private and public organisations in Product and Process Innovation, Technology Transfer, IT solutions and support for research and development projects. Set up in 2007, EFB is a high-growth knowledge intensive company, doubling its turnover each year and expanding its operation in the whole Europe. The experience of the EFB team can be attributed to the strong involvement in R&D activities conducted with highly qualified European and international Companies and Research Centres. EFB is partner in seven international cooperation FP7 projects: SCADA; THEBERA; CLOUD. Moverim consulting sprl is a platform providing information monitoring, consulting, training and assistance services for customers who are interested to improve their knowledge and project competences in the European Union field. Moverim offer different services such as training, consulting, assistance and participate actively on the European Union community politics. Moverim team offer solutions and suitable answers in the different fields of European Affairs. Moverim mainly deal with the following areas of expertise: environment, health, education and research. Moverim supports the client in the submission of specific projects to the European institutions so as to obtain proper financing. Moverim is involved in a number of European projects such as Innovabone; Atopica. Conexx – Europe has the aim facilitate and promote research, Cooperation and Development within the EU and between the EU and elsewhere. The main themes are developed: Environment and Sustainable Development, Culture and Education, Science, Technology and Innovation, Financial Inclusion, Microfinance, Youth, Fight against poverty, Intermediation, Training and Strategic Consulting. Its main objective is the Implementation of services and actions for better interaction between the different actors of cooperation and development, development of Science and Technology, education as a means of increasing equality and microfinance as a tool for economic development In the last 3 years Conexx have advised more than 70 universities, governments and foundations. Conexx is participating in three European projects and helped to win more than 15 European projects to the other institutions. .
One of the goals of the Startup Europe (SE) Initiative of the European Commission is to “reinforce the links between people, business and associations who build and scale up the startup ecosystem”. Under this objective and with a clear focus on aggregating and leveraging regional support for startups, this network has been created in Brussels, at an event held at the Committee of Regions: the “Startup Europe Regions Network (SERN)”. SERN has been set up as a non-for-profit organisation with a strong commitment to support startups and its activities, in particular by focusing on the mapping and promotion of support activities at regional level across Europe and by mobilizing regional resources to address relevant barriers to startups’ growth, such as harmonization of regulations, access to talent and to major research infrastructures. The main goal of SERN is that of occupying an empty space and contributing to fill a gap clearly felt by EU startups in terms of startup gap funding, while also addressing gauging of the measures taken by the regions to foster startups’ growth, providing an annual overview and highlighting the best practices and cases studies. AEIDL is a multicultural not-for-profit organization based in Brussels, offering first-rate consultancy and development across very different contexts (fisheries/coastal, urban, rural, mountains, islands and ultra-peripheral) and a range of policy themes (environment, and climate change, employment, inclusion, social innovation, social economy and entrepreneurship, migration, regeneration, agriculture and rural development, evaluation, etc.). AEIDL It has 30 years of experience in working with the European Commission. Currently, AEIDL is part of four major joint ventures: FARNET, running the fisheries community platform - for DG MARE across 21 Member States; NEEMO , monitoring LIFE projects and communicating about the LIFE programme; and a joint venture, providing technical assistance to DG Employment on the European Social Fund EU-level platform. In addition, AEIDL is currently coordinating a Horizon 2020 grant to carry out the Social Innovation Community and a COSME grant to implement the European Migrant Entrepreneurship Network. Zinev Art Technologies Ltd. /ZAT/ is a company developing, implementing and managing European projects and providing consultations in the fields of rural development, education, vocational education and training as well as culture, art, tourism. ZAT team has a long-term experience in implementing successful European projects both in relation to management and scientific implementation. ZAT also provides school, SMEs, NGOs and local authorities with EU project development/implementation and regional development services and training. Zinev Art Technologies was involved in several European projects such as: eTalent; Michelangelo; On-Air; I Am Not Scared and REVIT. In addition to this ZAT has developed and is currently participating in the implementation of the local development strategies of two Local action groups in Bulgaria, both with successful initiatives also in transnational cooperation projects with LAG from Austria and Italy. Education. RenaSup is a network of 515 schools from middle school to higher education and gathers 65 000 students. In addition, it is accredited by the French State. Every project carried by RenaSup aims at promoting quality standard, professional insertion and social success. RenaSup develops policies for higher schools. In addition, the organization supports schools in their projects and promotes the creation of new projects and new trainings. RenaSup is and was involved in several European projects such as: School and Work and I Have Rights . More information about Renasup’ European projects is available at: https://www.renasup.org/l-actualite-renasup. BUPNET, founded in 1985, is an adult education provider. BUPNET’s mission is the promotion of innovation in education and training. BUPNET has successfully completed several training courses in various sectors (social sector, health care, eCommerce, tourism, economy, sustainable development and intercultural issues) both in the framework of European and national funded projects. In 2001 BUPNET developed its own multilingual eLearning and collaboration platform that has been integral part of an awarded LIFE Environment project and various other EU- and national projects. Since 1997, BUPNET has been involved in various EU-programmes such Adapt, Socrates, LIFE+, Interreg, Grundtvig, Leonardo da Vinci and Joint Actions as partner or coordinator and thus has considerable experience in the coordination of European projects on the theme of education, training and eLearning and possesses well-founded knowledge about the strengths and weaknesses, chances and limits of the “new ways of learning“ - especially regarding necessary specific blended learning didactics. BUPNET is and was involved in several European projects, such as: VITA ; PROVIDE; CLIMES ; VILMA; GREEEN. The Konrad-Adenauer-Stiftung has been carrying out EU funded projects and actively participating in European programmes in the fields of democracy promotion, governance, and development cooperation since 1990. Amongst its clients, there are several national and local parliaments and governments, political parties, Universities and research institutes, civil society organisations, media companies, employers’ associations and trade unions all around the world. This international partnership allows Konrad-Adenauer-Stiftung to contribute to drafting strategies, participate in Erasmus+ - Capacity Building call for proposals, lead political dialogue and organize exchange programmes. The 80 field offices throughout the world act as central service and information centres. The Department of Computer and Informatics Engineering Informatics of the Technological Educational Institution of Western Greece offers to students knowledge and skills necessary to develop and implement Information Technology applications in the fields of new economy. Consequently, a profound knowledge of both Information Technology and the subjects of Management, Business Administration and Economics is required and provided. The Department has experience in the area of European Project Planning and in its curriculum there are courses in the specific field. Also the Department was involved in different European project such as: EE-T, Economic e-Translations ; Play The Learning Game on the application of videogames to education ; School Safety Net on the prevention of School Drop Out. Edumotiva, the European Lab for Educational Technology is a not for profit organization based in Sparta, Greece that brings together professionals active in the area of Educational Sciences and Learning Technologies and external collaborators, mainly teachers, certified trainers, researchers and instructional designers. Edumotiva’s aim is to offer learners of all ages education and training that will improve their lives, influence their thinking, impact on the communities within they act. Edumotiva aims at making learning'real, meaningfull and relevant' for the new generation of students and at supporting adults (including teachers) in developing 21st century skills through innovative training programmes for citizens of all ages. Edumotiva maintains close ties with primary, secondary and vocational schools, public institutions for adult education and various associations that have a focus on culture, art, societal problems, volunteering and more in the region of Sparta but also in other Greek cities. The key activities of Edumotiva are: research, innovation, instructional design, evaluation, education and training. Although a young organisation Edumotiva was founded by and brings together people with rich experience in educational and research projects at regional, national and European level. As an example, Edumotiva members have participated in the SAFROS FP7 Research Project, in the “I am not scared” Comenius antibullying project and more. Limerick Institute of Technology (LIT) is an institute of higher education in Limerick, a modern urban city in the Mid-West region of Ireland and is one of 13 institutes that are members of the Institutes of Technology, Ireland (IOTI). LIT is the fourth largest IOT in Ireland, with more than 6000 full time and part time students and 500 staff. The Institute has five campuses and a learning centre across Limerick city, Tipperary and Clare. The main campus is located at Moylish Park, with two city centre campuses in Clare Street and Georges Quay in Limerick city. The LIT Tipperary School is based in the two Tipperary Campuses, in Thurles and Clonmel. The LIT Ennis Learning Centre is based in the museum in Ennis town centre. LIT offers courses at Level 6 (certificate) through to Level 10 (PhD) whilst also catering for craft apprentices and adult and continuing education. LIT was awarded the Sunday Times Institute of Technology of the Year in 2008 and 2013 by the Sunday Times University Guide. The guide is the definitive guide to higher education in Ireland and the UK. LIT is also actively involved in research and enterprise development and is a regular participant in EU programmes both as project co-ordinator and project partner. It also participates in Erasmus and Leonardo projects and its International Office promotes the Institute globally and welcomes students of many diverse nationalities. The department of International Relations of the Biomedical and Technological Area of the University of Florence is in charge of supporting the international activities of 7 scientific and technological faculties. These are the faculty of medicine, the faculty of health sciences, the faculty of experimental clinics; the faculty of neuroscience; the faculty of biomedical sciences, the faculty of chemistry; the faculty of statistics and informatics. The department of International Relations is located in Careggi area, they assist lecturers and reasearchers providing information about relevant call for proposals published by the European Commission as well as provide support in the administrative planning of projects as well as in their administrative management. The Department of Political and International Studies at the University of Siena is suited for students who aspire to work as functionaries or managers in public administrations, businesses, politics, diplomacy, European institutions and international non-governmental organisations (NGO), and for those who wish to work with associations for national and international cooperation, in social work cooperatives, in the area of human resources management, in trade unions, and as freelancers in the fields of journalism and communication. The Department of Political and International Studies is currently involved as scientific coordinator in the I Have Rights project funded by the Erasmus+ Programme, KA2 Strategic Partnerships. APRE was created in 1989 as a joint initiative of the Italian Ministry of Research (MIUR) and some public and private bodies in order to meet the growing demand for information on European research programmes. First reality of its kind, APRE has been supporting the scientific and the industrial community for over 25 years in the path to Europe and, today, to the world, through offering information, assistance, training, data collection, studies and statistics on European Commission programmes in the field of Research, Technological Development and Innovation (RTDI) and the Italian participation in these activities. The University of Genova is involved in many activities regarding research, didactic and the spread of scientific knowledge. DCCI is the seat of SCITECHMA (Science, Chemical Technologies and Material Laboratories) a university laboratory promoting research activities that meet the demand of a wide, public and private, customers. Every year DCCI takes part to national and international research project in the field of high performance materials, analytical chemistry, synthesis of new organic molecules and in education. Referring to European projects, DCCI provided contributions to: Papertech (programme Strep-Inco, 2004), Euromembranes (Mariecurie Actions, 2006) and Demoys Project (Vii Framework Program-Cooperation, 2010), Chemistry Is All Around Network (LLP Comenius, 2011). The Museo Galileo is one of the foremost international institutions in the History of Science, combining a noted museum of scientific instruments and an institute dedicated to the research, documentation and dissemination of the history of science in the broadest senses. The museum, the specialized library, the archives, the multimedia, photographic and restoration laboratories provide an integrated whole in the service of disseminating scientific culture, capitalizing on Italy's technical/scientific heritage, while continuously updating research in the history of science and technology. Since its foundation on May 12, 1927 the museum is guided by a Board of Directors whose members include representatives from the University of Florence, the Municipality of Florence and the Ministry of Education, University and Research. The Museum is involved in several European projects funded in the framework of the current programmes in the field of research and development. The information about the museum’s European projects is available at the following link. Centro Machiavelli was founded in 1978. Since 1988 they have been part of Tandem International - an international association of language schools, committed to the research and application of methods founded on linguistic and cultural exchange. In 2003 the centre obtained official recognition by the Ministry of Education and in 2005 it obtained a certification of quality according to the standards set out by ISO 9001:2000. In 2008 Centro Machiavelli obtained accreditation from the region of Tuscany as a training agency. Since 2009, it has been participating in projects financed by the European Commission, and by the European Social Fund. The Centre also has the patronage of the City of Florence for the participation in the project for language instruction to non-European citizens. Centro Machiavelli was involved in a number of European projects, for example: Memory Exchange; MoLLVIS - Mobile Language Learning for Visually Impaired Students, KA2 Languages; ALL4WELL - Accessible Language Learning for the Wellness Sector, LDV Transfer of Innovation and PATIE - LDV TOI. INNOLABS Srl is a European consultancy company with head office in Livorno (Italy). INNOLABS is an outcome of a EU project (spin-off) and is specialized in management innovation strategies. INNOLABS provides process innovation assistance and technology transfer services to both private and public organisations. INNOLABS operates on several level: technology audit, IPR, knowledge transfer, startup and SME acceleration etc. INNOLABS has extensive expertise in the field of R&I and R&D as well as in implementation of EU-scale projects and networks. INNOLABS mainly deals with the following areas of expertise: Tourism, Environment, and International Cooperation. The European projects in which they are involved include: MEDSPRING – Mediterranean Science, Policy, Research & Innovation Gateway. AGIRE was established in September 2010 and it is classified as an innovation hub in the agri-food sector. The hub represents the needs of micro, small, medium and large agri-food and agri-industrial companies of the Abruzzo region and it is composed also by service companies, employer’s associations, research centers and universities whom provide the basic added value to create network synergies, competitive advantages and innovations in the system. For its activities, AGIRE is structured on a small and flexible organization, centralizing its governance at Nucleo Sant’Atto (in the province of Teramo) headquarters. Evodevo is an Italian innovation company founded in 2007 and based in Pomezia (RM) with a strong expertise in Artificial Intelligence based software products. It is specialized in semantic technologies, open data and big data, decisions support systems and GIS (Geographic Information System) technologies. The multidisciplinary company teamwork is composed by developers, data scientists, social research specialists, business and legal consultants, GIS experts, Business and Artificial Intelligence specialists. Evodevo is involved in different projects and activities, ranging from software development to studies on ethical dimensions of disruptive ICT applications. Recently the company was selected by the European Economic and Social Committee to carry out a Study on the ethical implications of intensive use of Big Data in different social and economic fields (here the link). The company joined relevant national and European research projects, funded by organizations like the European Defence Agency, and the Italian Space Agency. Euradia, having its sites both in Rome and Madrid, is a consulting firm specialized in providing advanced services in project management and implementation in the framework of public funds. Clients and partners range from private companies, national agencies, regional and local authorities, to universities, chambers of commerce and the European Commission itself. Euradia provides key technical assistance in drafting, executing, evaluating and certifying EU funded projects. In Euradia’ vision, European projects are not considered as a final goal: they are instruments to support the strategy of any organization. Some examples of those initiatives and instruments are the following ones: European projects; European lobbying and policy making activities; European and international networking; Internationalization actions and alliances; Knowledge exchange and transfer etc. Latvia University of Agriculture offers academic and professional higher education at three levels: undergraduate, Master and Doctoral level. LLU provides study programmes related to project management, sociology, external relations, economics, IT management and also such unique study programmes as advanced agriculture, veterinary medicine, food production, forestry, catering and hotel management, and landscape architecture and some more. The name of the university retains the word “agriculture” because of historical reasons. When LLU was founded in the middle of the last century, its main faculty was the Faculty of Agriculture. The number of the students is approximately 6000. More than 300 academic staff members are involved in the study process. They also carry out research studies significant for the Baltic Sea Region and Latvia, and are involved in research programmes supported by the European Union funds, for example the Gorwind project funded by the European Commission. LLU has extensive international cooperation with universities in the UK, Sweden, Finland, the Netherlands, France, Poland, Lithuania, and other EU member countries. eMundus mission is to actively promote the knowledge society, while creating and developing services and projects related to information and communication technologies, innovation and practical adaptation for education. eMundus organize seminars and workshops to develop creative activities, acknowledging foreigners with Lithuanian culture, places in Lithuania, at the same time improving participants skills in particular fields. The team of eMundus has long experience in the participation in different national and international projects, developing activities. The main activities carried out include develop lifelong learning opportunities using modern educational technologies, coordinate and develop national and international projects under different programmes, as well training courses, workshops and conferences. The team consists of highly qualified specialists who are working in international projects. VšĮ eMundus is and was involved as coordinator and or partner in different European projects. Examples of these European projects are: FOCAL; Cube; Active Learning ; Co-Safe. The University of Luxembourg is the first and only university of the Grand-Duchy of Luxembourg. As one of the youngest universities in Europe, it built directly on the Bologna system. This institution offers a range of high-quality Bachelor's , however the focus of its teaching is on Master's and PhDs . Special attention is given to research which focuses on particularly promising areas. The academic staff members come from all around the world and work in interdisciplinary teams. The university has close links to the European Union’s institutions, the financial centre and the Luxembourg job market. Luxembourg is the headquarters of many European institutions, such as the European Court of Justice and the European Investment Bank, and is renowned for its international financial centre. Naturally, the University of Luxembourg makes use of these connections: about five hundred financial experts, legal experts and other practitioners support our professors in their teaching. The University of Luxembourg has signed a series of agreements with partner universities throughout Europe, but also worldwide. The University of Luxembourg is currently involved in several ongoing projects. The list of the current projects is available at the following link: http://wwwen.uni.lu/recherche/flshase/inside/ongoing_projects. The Malta-EU Steering and Action Committee was first established in 1999 to oversee the overall accession process of Malta to the European Union. MEUSAC served as a focal point of such process. It successfully brought together a wide spectrum of organisations representing various and diverse interests within Maltese society. Following the signing of the Treaty of Accession on the 16th April 2003, MEUSAC was reconstituted to enable it to continue its role after membership. With an even wider representation, MEUSAC sought to give civil society an opportunity to make itself heard and to help shape Malta’s position in various aspects of membership. Operating in parallel with MEUSAC was the Malta-EU Information Centre (MIC). Its aim was to provide the general public with information related to the European Union and Malta’s progress during the negotiations. MIC interfaced directly with MEUSAC. The three main components of MEUSAC are: Consultation, Information and Support on EU Programmes and Funds. AcrossLimits is a dynamic SME and creative solutions and consultancy provider based in Malta. It provides various services relating to Information Technology focusing mostly on creating solutions for small and medium sized enterprises. It is also actively involved in the research and creation of innovative solutions for eLearning and eHealth domains, as well as being experts in the configuration and programming of crossplatform systems. AcrossLimits is also very active on the European programmes front. It is currently participating in different research related EU funded projects related to diverse areas of interest including ICT technologies for lifelong learning, environmental monitoring, B2B banking services, telecare, eGovernment. science popularisation and digital culture. More information about the European projects in which AcrossLimits is involved is available at this link. WSINF (institute of Computer Sciences) is a private University established in 1997. It educates 6500 students at 4 Faculties Computer Science, Pedagogy, Economics, Fine Arts and Design. WSINF provides infrastructure of 24000 sq.m. campus composed of academic buildings equipped with modern laboratories, Houses of Residents for students and academic staff, Internet Café, library, Sport Centre, Aqua Park, Rehabilitation Centre, kindergarten, primary and secondary school. WSINF is also an owner of a hospital in Glowno a town near Lodz. 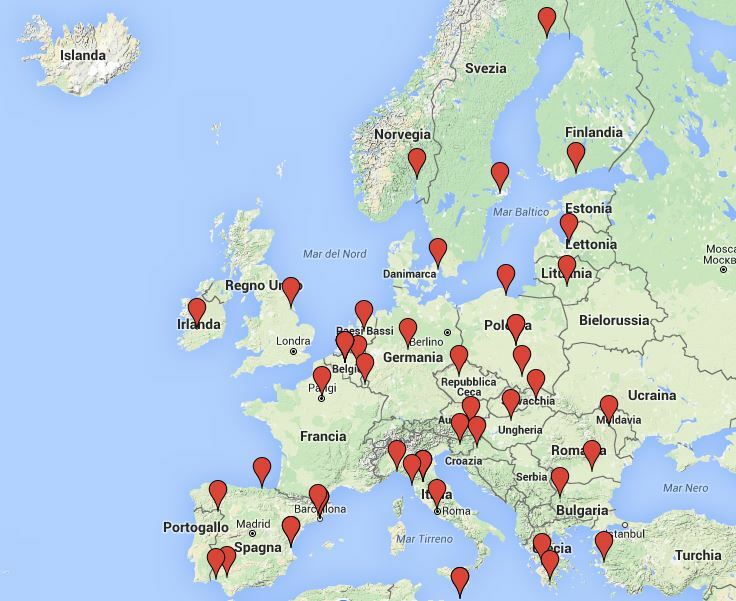 The European Unit at WSINF has been coordinating more than 35 international projects. 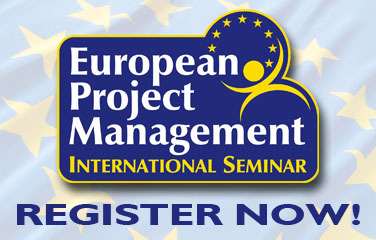 The information about their current European projects is available at the following link: http://wsinf.edu.pl/aktualne-projekty-dp1. The Centre of Continuing Education in Sopot (Poland) is a public educational institution. It has been providing education to the people aged 18+ for over 50 years. CCE prepares adults who want to obtain certificates in the area of vocational secondary education and post secondary vocational education. The strategy adopted in their educational offer is based on balancing theoretical knowledge with practical and professional training, this has resulted helpful in creating future employees and professionals. Their main aim is to adjust their curriculum to the current needs of the labour market. CCE is strongly involved in initiating and conducting regional, national and European dimension of co-operation. CCE were involved in several European projects as described at the following link http://www.cku.sopot.pl/?page_id=342〈=en. 36,6 CC is an umbrella institution gathering professionals from many fields establishing an interdisciplinary Experts Zone for the local development through international experience exchange. The target group of 36,6 CC are local society members requiring further development so to acquire knowledge and skills adjusted to the changeable situation on the labour market on one hand and so to be included to the local society on the other. Examples of European projects in which 36.6 was or is involved include: Agora project . All of them focus on vocational education and training issues. The Polytechnic Institute of Bragança (IPB) is a higher education public institution with a defined mission in creating, transmitting and diffusing technical-scientific and professional knowledge through the articulation of study, teaching, applied research and experimental development. IPB belongs to the European Network for Universities of Applied Sciences (UASNET). IPB has an internationalization programme with widely recognized success, including the annual mobility of more than 700 incoming and outgoing students and 200 teaching staff members, as the result of the collaboration with several European higher education institutions and with universities from the Community of Portuguese-Speaking Countries and all over the World. In the recent years, IPB has consolidated its international mobility under the Lifelong Learning Programme by renewing its European Charter and extending the programme of student mobility to placements. IPB is involved in several European projects that are listed at the following link: http://portal3.ipb.pt/index.php/en/gri/other-projects-and-programmes. INOVA+ is the Portuguese leading company in the field of the promotion and management of international projects on Innovation, Training and Research & Technological Development. The company’s mission is to provide the knowledge, the management capacity, the partnerships and the technical and financial support needed for the development of innovation projects of its customers. Counting with 20 years of experience, INOVA+ employs a highly qualified team of more than 50 consultants based in its offices all over Europe, with the main team located at the headquarters in Porto. INOVA+ is also linked to a wide network of partners, which include Universities, Research Centers, Municipalities, Industrial clusters, Brokerage Institutions and European Bodies. Among others, the company manages projects in the following areas of innovation: Innovation Systems and Innovation Management; Entrepreneurship; Technology Transfer; Education and Training; Human resources management; Internationalization; Science, Technology and Communication management; Integration of Information and Communication Technologies. EuroEd is an NGO set up in 1992 in Iasi, Romania. It delivers educational services to all age categories and developed a series of programmes, including language courses (English, French, German, Italian, Spanish and Romanian) as well as international training courses for teachers. EuroEd’s relevant experience lies with co-ordinating and participating in EU funded projects, as well as in strategies and methodologies of co-operation at local, regional, national and trans-national level. EuroEd Foundation co-ordinated and implemented over 35 national and international educational projects since 1995. It is accredited by the Ministry of Education and by the Ministry of Labour and it is part of the national educational system in the LLL section. It is a founding member of the QUEST (Romanian Association for Quality Language Services), which is an associate member of EAQUALS (its European counterpart). EuroEd received 5 international awards in the last 7 years for the quality of its projects: 4 European Label Awards and 1 World aware distinction. EuroEd is and was involved as coordinator or partner in several European projects that are listed and described at the following link: http://www.euroed.ro/index.php/proiecte_parteneriate. Founded in 1913, Bucharest University of Economic Studies (Academia de Studii Economice din Bucureşti, ASE) is the leading economic university in Romania, consisting of 11 schools and many research centres. It is a state university which has been granted a high confidence rating by the Romanian Agency for Quality Assurance in Higher Education. Bucharest University of Economic Studies has around 22.000 students across the undergraduate, masters and doctoral programmes which comply with the educational guidelines of the Bologna process. Bucharest University of Economic Studies’s mission focuses on advanced research and education, developing general, specialized and transversal competencies for a better integration in the modern society, etc. The University of Ljubljana (UL) is one of the four universities in Slovenia. It is an institution with a very rich tradition located in the capital city. The Faculty of Economics (FELU) was established in 1946 and it is the biggest member of the UL, has around 5,600 students, and it is a double accredited school: EQUIS and AACSB accreditation. It offers education in Slovenian and English language. In the International Relations office there are 6 people taking care of the international mobility cooperation and partnerships between 190 international partners from all over the world. Annually the FELU host 400 exchange students, sends 350 FELU students abroad and host 600 international students on the summer school programmes. The FELU has been involved as coordinator or partner in different European projects like Erasmus Mobility, Internships, Intensive programmes, Erasmus Mundus Partnerships, ICI-ECP projects, Norway Grants/Intensive Programme and mobility. The Faculty of Economics is planning to continue its active role in Erasmus+, especially in the Capacity Building projects, Strategic Partnerships, Knowledge Alliances and International Credit Mobility.. The University of Seville was created in 1500. It is the second Spanish university by number of students. Its academic offer includes more than 79 degrees, 86 Doctorate programs, 150 Masters, and 86 official postgraduate studies. Completing this educational offer, the University holds academic and exchange partnerships with 850 institutions throughout the world. More than two thousand incoming and outgoing exchange students are monitored every year. Over 470 scientific teams of the University work on research projects and around 40 patents are registered every year. The University Library has almost one million monographs and 8.000 periodical publications, including 800 manuscript volumes, 300 incunables and 8000 books dating from the 16th century. The University of Seville is very active in European cooperation initiatives funded in the framework of the current European programmes. Example of European projects in which University of Seville is involved in include the project entitled I am not scared. The University of Barcelona (UB) is Spain’s leading research university, publishing more research than any other Spanish institution with the exception of the Spanish National Research Council (CSIC). The UB has 106 departments and more than 5.000 full-time researchers, technicians and research assistants, most of whom work in the UB’s 243 research groups as recognized and supported by the Generalitat de Catalunya (Catalan Government). In 2010 the UB was awarded 175 national research grants and 17 European grants and participated in over 500 joint research projects with the business sector, generating an overall research income of 70 million euros. The Interactive Media Lab at the University of Barcelona specializes in Education and Media. The main areas of research of the Interactive Media Lab of the University of Barcelona are: digital audio-visual communication, technology enhanced learning environments, evaluation of learning with ICT, digital literacy, social networks etc. Florida is an education institution active at all levels of education, ranging from kindergarten through secondary and university (affiliated to the University of Valencia and the Polytechnic University of Valencia) all the way through to senior learning. It has 3500 students & 250 employees. Florida has wide experience in the use of technology to enhance learning (working with ICT since 1996), coupled with extensive pedagogical expertise and a tradition of innovation in education, working in close collaboration with the regional Ministry of Education in different educational contexts. At secondary level Florida was a pioneer centre for the LOGSE education reform and we were recently given a Ministry of Education award in recognition of our lifetime contributions to the quality of vocational training in the Valencian community. Over the 29 years since its foundation Florida has been involved in a wide range of activities involving cooperation at local level as well as at regional, national and European level, including a large number of European projects, both as project promoters and participants, focusing especially on the uses of ICT in education, among other subjects such as entrepreneurship, innovation, local development and tourism, diversity, etc. Florida was involved as coordinator or partner in several European projects. P.A.U. Education is a private company based in Barcelona, Spain, founded in 1995 with a staff of more than 50 people from 20 different countries working with public and private organisations on a European and international level. The projects are based on participatory educational schemes, community-building processes and innovative contents and they aim to contribute to increasing, in an ethical manner, the quantitative and qualitative impact of clients’ social responsibility actions and communication strategies. Example of projects P.A.U. Education is involved in are: Web2LLP funded by the European Commission within the Lifelong Learning Programme, Key Activity 4 of the Transversal Subprogramme; Open Education Europa financed by the European Commission; European Road Safety Charter, financed by the European Commission DG Move. P.A.U. Education is and was involved as coordinator or partner in several European projects. Infobótica is a research Group of excellence for research, development and innovation which belongs to Oviedo University. Infobótica is composed of a management team and adevelopment one whose employees are highly qualified, young and innovators for correct progress in the different projects we carry out. The Group is focused on Smart Home and Services Robotics creating and contributing new and innovative solutions for our national and international partners to participate in I+D +I proposals. Furthermore, Infobótica offers outsourcing collaboration in submission candidatures to get the customers’ requirements. Products and projects of Infobótica are based on use of new technologies, top market simulation appliances, and also, the offer of solutions in robotics sector , logistics and systems interoperability. Infobótica’s effort and work is continuously adapting new technology developments and real market needs. Among their main lines of research are: domo-robotics systems, robotics software engineering, interoperability protocol, Smart Home appliances, safe & care people technologies and medical appliances, embedded systems modelling, Human-Robot interfaces, agroforestry environmental and energy technologies , and logistics ones. Instituto Tecnológico de Galicia (ITG) is a Technological Centre, officially recognized by the Spanish Ministry of Economy and Competitiveness, with more than 20 years of experience. Its main areas of activity are in the fields of information and communication technologies (ICT), energy and water and sustainable construction. Regarding ICTs, main areas of work and development are Embedded Systems, Advanced Communication, Monitoring and Control, Sensor Networks with special focus on Wireless (WSN), Software Engineering, Big Data, and Business Intelligence. Main areas of market interest and applications are Water Quality and Control, Precision Agriculture, Environmental Monitoring, Energy Efficiency and Intelligent Marketing. Regarding Sustainability and Construction ITG has established in Spain the BREEAM Methodology, which is the world’s leading and most technically advanced construction sustainability evaluation and certification system. 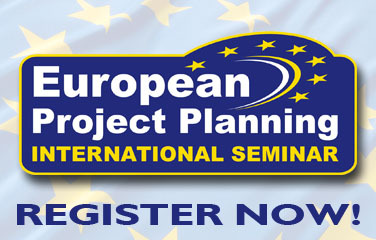 ITG is coordinator or partner in several European projects such as: SANePLAN and [email protected]. LEITAT is a Technological Center, founded in 1906, recognized by the Catalan Government (TECNIO) and by the Spanish Ministry of Science and Innovation, with the mission of collaborating with companies and other entities to create economic, social and sustainable value by research and development projects and technology processes from innovation and creativity. Since its foundation, LEITAT has prioritized its vocation of proximity by strengthening the principles of professionalism and respect to people and environment at the same time. The intern will work in LEITAT international Office carrying out tasks such as: European and international funding Program analysis; Identification and negotiation with relevant international partners; Preparation and submission of European and international project proposal ; Preparation and submission of deliverables and reports during the execution of international projects; Organization of international events. Inercia Digital is a young Andalusian company with outlets European wide. Its main objective is to contribute with innovative solutions to both e-business and web entrepreneurship skills for SMEs and entrepreneurs (e-learning on e-business). In cooperation with the Research Group GITICE (Technology of Information and Communication in SMEs of the University of Huelva), Inercia Digital develops the first Master’s Degree in E-Business and Web Entrepreneurship of the International University of Andalusia. Inercia Digital has, also, created the first Youth Web Entrepreneurs School of Andalusia. Inercia Digital is involved in several European projects funded by the European Commission such as: WET-NET CABRIOLET - Model-Oriented Approach and Knowledge-Based Intelligent System for Evolvable Academia-Industry Cooperation in Electronic and Computer Engineering, SMART – Supporting dynamic matching for regional development , RIURE - Latin American Network for Educational Repositories Usability. Fundación Equipo Humano is a private non-for-profit foundation created by professionals from the Human Resources consultancy field for facilitating the adaptation of the human capital to the requirements of the labour market. The specific areas of expertise include: social-labour integration of disadvantaged social groups; adapting skills to labour market demand through training; support the EU2020 strategy on education and employment; support the implementation of ICT; foster innovation; improvement of labour conditions; support the adoption of socially responsible policies as business strategy; foster entrepreneurship. More than 20 people are working in the organization representing different backgrounds such as: psychology, law, political sciences and European affairs. The EU programmes recently targeted include Erasmus+ (usually between January and March), Interreg Med, SUDOE, SME Instrument (H2020), EaSI and LIFE+. Example of European projects in which they are/were involved: Practyce I; Practyce II; Practyce III (Erasmus for Entrepreneurs, COSME); GreenPoint (Erasmus+); ABClean (Erasmus+) and B-Game (Erasmus+). Politeknika Ikastegia Txorierri is a subsidized private Vocational Education and Training center in the Basque Region. Each year the centre provides high quality technical and adult training for 400 full time students and over 1000 adult part time learners. The college specializes in: Environmental Education, Telecommunications and Information Technology, Robotics, Sales and Commercial Management, Mechanical Design and Mechanical Production. Politeknika Txorierri belongs to the HETEL network of 20 subsidized VET schools in the Basque Region providing Vocational education and training to over 8000 full time vocational students. The network shares innovation practices, internationalization and mobility organization and technical projects. Since 2013, The Politeknika is also an associated member of the neighboring Science and Technology Park of Bizkaia and has collaboration agreements with key business and industrial clusters in the Basque Country which permits close collaboration between businesses and the college. Several projects, coordinated by the International relations Department, are in place in the Politeknika such as Qual4T ; Trigger; Frojol; IntheMC etc. ESMOVIA, located in Valencia, manages mobility projects for students and adults. ESMOVIA receives participants from all over Europe and organises for them internships in different vocational areas. They also organize professional visits and courses for school staff. 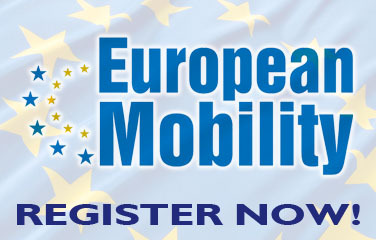 The mobility projects managed by ESMOVIA are funded by the European Erasmus+ programme or the European Social Fund (ESF), but also by regional or local funds. ESMOVIA actively participates, as coordinator and partner, in European projects in the following topics: mobility, employability, entrepreneurship, development of soft skills, digital skills, etc. Example of projects in which Esmovia is involved: YEES. Xano Channel aims at promoting personal and professional growth and disseminating culture among organizations and people. The activities and objectives of the organization are inspired by the principles of interculturality, equal opportunities for disadvantaged people and between men and women. Xano Channel’s objectives are: enhancing personal and professional growth of young people ad adult learners by providing educational and training services, both locally and abroad; tackling youth unemployment by offering work orientation and internship services for young; creating, sharing and exploiting innovative methodologies and tools for fostering youth employment; promoting culture, leisure and arts. Examples of projects in which Xano Channel is involved: GEEA; YEES. Landstede is a regional education centre based in Zwolle, The Netherlands. Landstede operates in the areas of vocational and general education, welfare and social services, child care and recycling. They train 15.000 students, trainees and clients from companies and institutions it has 1.350 paid employees and 1.100 volunteers. Landstede also creates effective relationships with companies and institutions. Landstede provides competence-based education that gives students and trainees the opportunity to work on their own talents. Landstede is also involved in several mobility projects and in 2009, they were awarded a Certificate for Mobility. Since 2003 Landstede had acquired a large European network with many core partners. In the Netherlands, Landstede is a partner of the consortium I-CNN (Internationalisering Consortium Noor- Nederland), together with ROC Friese Poort and Alfa College. The three colleges collaborate closely in the field of internationalisation. Landstede was and is involved in several European projects funded by the Lifelong Learning Programme such as: Trigger; Qual4T; Frojol ; In theMC. Yașar University EU Center organizes, supports and coordinates activities to benefit from EU education and research programmes and other EU funds. The Center closely monitors Erasmus+, Horizon 2020 and other EU and education research programmes; prepares projects and develops cooperation with other higher education institutions and research centers in Europe. Since 2005, Yasar EU Research Center, either being a coordinator or a partner, has successfully been involved in 38 projects by working in collaboration with 54 partner institutions. EU experts of the Center provide PCM trainings for the member of Universities, public institutions and civil society organisations. The Erasmus Programme at Yașar University is also coordinated by the EU Center with 207 partner Universities from 25 European countries. In 2010 Yașar University was awarded the “Erasmus Success Story” prize by the European Commission. Further information about Yașar EU Center and the projects is available at: http://euc.yasar.edu.tr/projects/all-projects/. The University of Hull is a public university, founded in 1927, located in Kingston upon Hull, a city in the East Riding of Yorkshire, England. Rich in history, the University offers credibility, a wide range of interesting services and courses. The main university campus is located in Hull and there is a smaller campus in Scarborough on the North Yorkshire coast. It is a partner in the proposed University Centre of Grimsby Institute of Further and Higher Education in North East Lincolnshire. The main campus is home to the Hull York Medical School, a joint initiative with the University of York. Students are served by Hull University Union. Alumni of the University of Hull are especially prominent in the fields of politics, academia, journalism and drama. The University of Hull has a dedicated International Mobility and Partnerships (IMAP) Office to oversee the Exchange Programme. The University is currently coordinating, among others, the European project entitled Euroversity . The Nottingham Transportation Engineering Centre (NTEC) is the UK's foremost university research centre focused on the materials and resources that provide the central elements of all highways, railways, docks and airports, and is well-known throughout the world for our transport infrastructure research. In the last 5 years NTEC has been involved in several EU research projects (EU FP7 Re-Road, EU FP7 Asset, EU FP7 Marie Curie TEAM, etc.) and now is about to coordinate another a 4M € EU project under the FP7 Umbrella: SUP&R ITN (FP7-People- Marie Curie). The main author and Project Research Manager is in charge to manage a consortium of 30 partners which focus on produce research based products together with a rich training programme for early stage researchers. The internship will focus on structuring and implementing the management products of the SUP&R ITN and will eventually be enriched by some research proposal writing activities for projects under the Horizon 2020 programme.